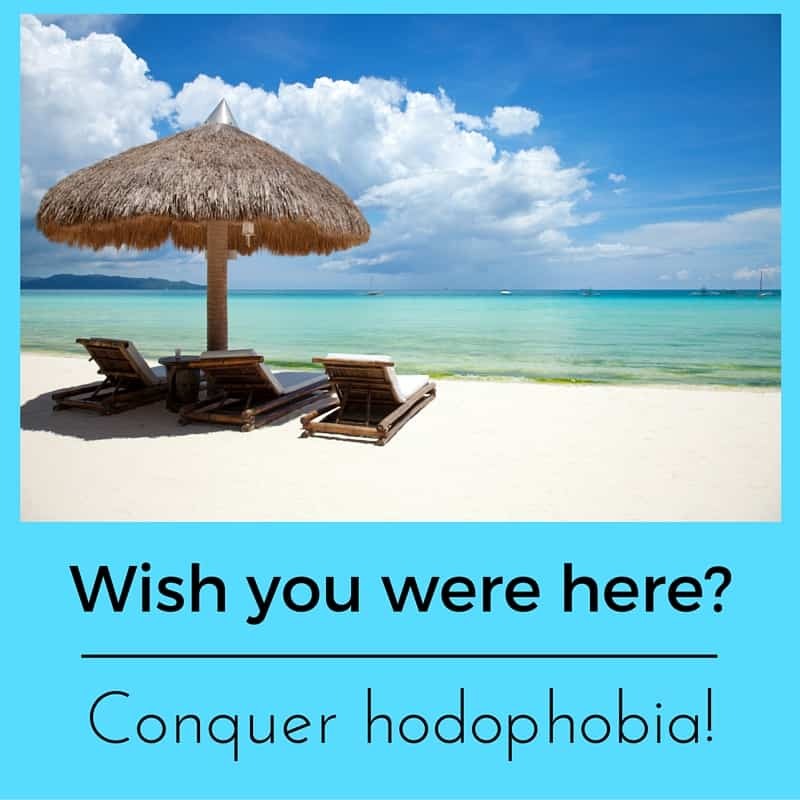 Hodophobia – the fear of travelling. Is it time to let it go? I’m not a frequent traveller but when I do get the opportunity to board a plane, train or ship I love it. I love the hustle and bustle of airports. I adore the sight of nothing but sea in every direction. I particularly adore that point of taking off when the plane accelerates along the runway, just before the wheels leave the ground. For others, however, those situations can appear to be a hell on earth. 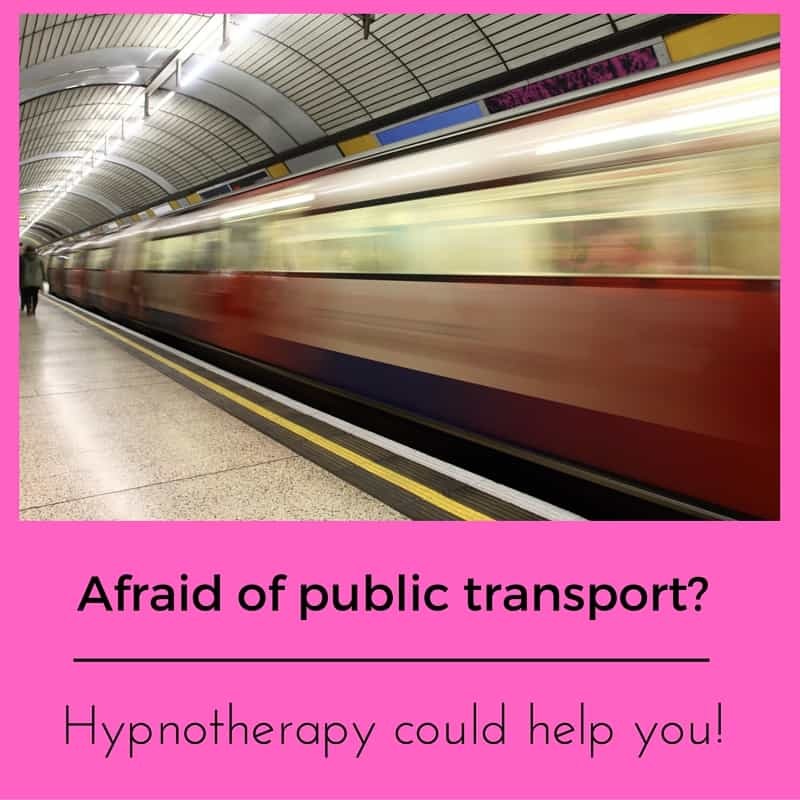 I’ve used hypnotherapy in Reading, Thame, London, Oxford and Wallingford to help people to overcome their fear of trains, planes and automobiles. These people have learned to let go of their fears and their lives have become immeasurably richer as a result. Would you like to be the next person to let go of hodophobia? Would you like to be able to take your family on a holiday? Have you spent years finding excuses in order to avoid them? If so then hypnotherapy could help you. Hypnotherapy works wonders with phobias, phobias which counselling and other taking therapies will truly struggle to reach. If you’re afraid of travelling and are sick of it then I could help you to let it go. Read on to learn more. What exactly is the fear of travelling and how does it begin? Hodophobia is not simply a fear of flying. It can contain elements of agoraphobia, claustrophobia, altophobia, social anxiety and panic disorders but it’s a phobia in its own right. When I work with people who suffer from the overwhelming fear of travelling I will investigate possible overlaps with other psychological problems but accept that there’s sometimes nothing else to be found. People can be perfectly sociable, confident and functional within their home towns or cities whilst suffering terror, palpitations, sweatiness, nausea and other symptoms when forced to board certain forms of transport or travel to strange and unknown cities, countries or towns. Others find that even the world outside of their own borough is a source of fear. How does the fear of travelling begin? As with any phobia, hodophobia can arise in a number of ways. Perhaps you experienced a trauma of one kind or another whilst away on a trip. Some people have parents who expressed an aversion to travel and they went on to learn the fear. Some people do suffer from social anxiety and travelling into new areas with new people causes fear of humiliation, rejection or some other imagined catastrophe. For other people there’s the question of control. Placing oneself at the mercy of a pilot’s skill can seem a step too far for some. Are you afraid of being out of control? Did a parent convince you that the world is a scary and dangerous place and that it’s simply for the best to stay safe and sound at home? 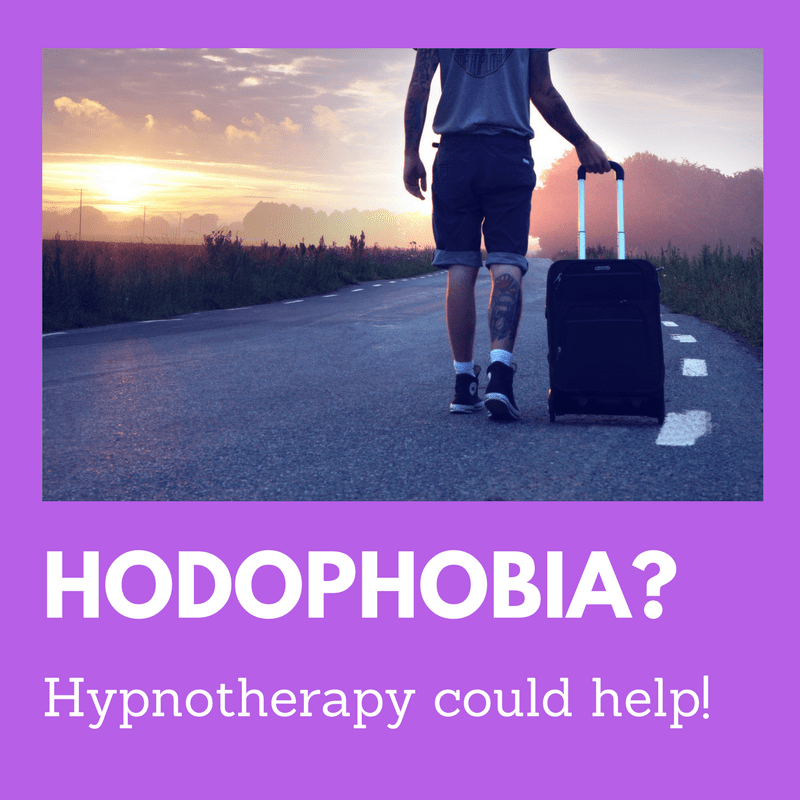 If so then hypnotherapy for hodophobia could prove to be the answer. Is it a fear of germs or of being caught without a toilet? Others come to fear travelling through a fear of germs, emetophobia or through conditions such as IBS which leave people too afraid to travel in case accidents threaten and there’s no nearby toilet to be found. However it arises, the fear all too often spreads. The fear of flying to a foreign country can become, over time, a fear of being a car passenger even when only travelling into a nearby town or city. I’ve helped people who are even too scared to go on a five minute journey. What if there are roadworks? Oh my, we’ll be stuck and I might need the loo! Some people can travel alone without too much trouble because they can control their itineraries, modes of transport, time of return etc. Other people can only bear to travel at all when they’re in company and thus feel safer. Hodophobia is a very individual phobia with an almost infinite variety of expression. Each instance is as individual as the person who suffers the condition. Perhaps you’re here because you have a wedding to travel to. Perhaps your family is growing fed-up of being able to travel overseas for a Summer holiday. Perhaps you’ve simply had enough of seeing your life and world shrink into a smaller and smaller geographical area. Whatever your reason for being here, I’m glad you’ve come and look forward to being the one to help you break free from this phobia. If you would like hypnotherapy in Reading, Oxford, London, Wallingford or Thame for hodophobia then please do give me a call. 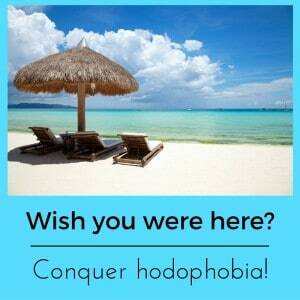 I’ll be glad to talk with you and to explain how hypnotherapy could help you to let go of that fear of travelling. You could call me on 07786 123736 ; 01183 280284 / 01865 6o0970 or 020 7193 9331. Alternatively you could email me at paul@resolvedhypnotherapy.co.uk or use the contact form below. However you chose to contact me, I look forward to hearing from you.